Elon Musk recently told investors and fans he was taking over control of Model 3 production. Based on his Twitter feed, it sure looks like he has other interests. 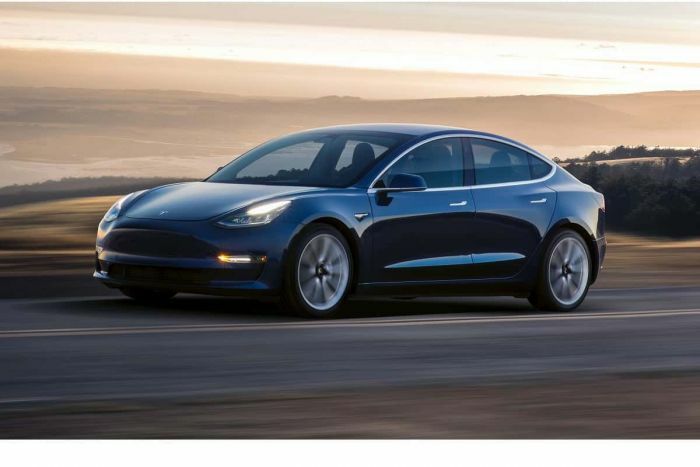 About a month ago, after Tesla missed yet another Model 3 production and delivery goal, Elon Musk told the world he had taken over direct responsibility for the production of the Model 3. Explaining the move, which should scare the heck out of investors, Musk said, "My job as CEO is to focus on what’s most critical, which is currently Model 3 production." Actually, some might say that the job of CEO is to focus on meeting the company's overall goals, managing the executive team, and ensuring shareholder value. Instead, Tesla's CEO says he is "sleeping on the Gigafactory floor." If Musk is sleeping in Nevada, he seems to be spending his waking hours not working on Tesla's Model 3, or even on Tesla issues, as far as we can tell from his Twitter feed. Rather, it looks a lot like Elon Musk is working at the Hawthorne, California Space X mission control facility. In a recent tweet, Musk, (or his avatar) is seen hugging and high-fiving Space X engineers after one of its rockets again performed a miracle. This is all great news for those interested in Space X. Those who gave Tesla $1,000 to build them a model 3 years ago may see things differently. Tesla's embarrassing delivery rate for the Model 3 is unchanged over the past two months according to EV-advocacy publication, Inside EVs. At the current rate of deliveries, Tesla would need eight years to catch up to its backlog. That may seem like good news in a way. Buyers clamoring for what the company builds is always a plus. Except when Tesla is recording record losses due to lack of revenue - from the Model 3 cars that it is not delivering. We took a close look at the Elon Musk Twitter feed to see if there are any updates on fixing the Model 3 production and delivery issues. What we found when we looked back over the past week were ten tweets on the subject of Space X, one about Tesla's solar power business in Austraila, an update on Tesla's hyperloop tunnel boring in LA, two tweets about horses, zero tweets updating reservation holders on the Model 3 progress, and one tweet showing Musk living la vida loca with a gal 50% younger than he is in Earth years. At a location 2,500 miles from the production facility of the Model 3. Musk would do better to spend his time working on Model 3 deliveries and improving them rather than dancing with that girl in the link. As a small investor, lots of evidence that Model 3’s are ramping nicely, albeit behind schedule. They’re still working to the most recent publicly stated targets, so don’t know what other info we need at this point. At the end of this week, you will be able to order different options, which Elon said would only happen once they have reached 5000 cars. hey must be getting there fast. Why does it matter to any of us how many cars Tesla is producing? Really... Do we care how many Ford 150 is producing every day? What about Toyota Corrola, how many of them are we making per day? It seems that people have a completely different set of expectation from Tesla. You make a valid point. However, Ford's F-150 production is big news this week. Every automotive and most mainstream media outlets have covered that topic over the past 5 days. Google it. Here's our coverage of the F-150s production interruptions (you have to cut and paste). https://www.torquenews.com/106/magnesium-supplier-fire-stops-ford-f-150-production The Corolla is also big news this past week. So big, we had two different reporters cover the Corolla. One travelled to see the new car. You can see that coverage at the Toyota tab. The reason Tesla's production is so interesting is for two reasons 1) Tesla's CEO made unfulfilled promises about the production on numerous occasions. 2) The company is losing money at a rate of about $3 Billion per year due to the lack of revenue from the Model 3. These issues are of interest to many Tesla fans.